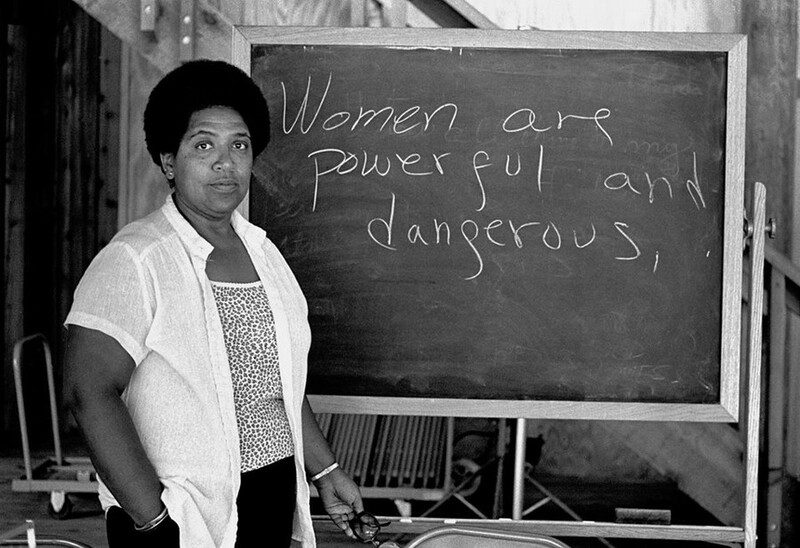 “[T]he master’s tools will never dismantle the master’s house,” one of Audre Lorde’s most famous lines of poetry, encompasses her belief in the need to empower women across different races and sexualities. Last Tuesday, the DuSable Museum of African American History celebrated Lorde in a screening of the 2002 film The Edge of Each Other’s Battles: The Vision of Audre Lorde, a documentary about a 1990 conference called “I Am Your Sister” that was centered around Lorde’s message. Throughout the mid and late 20th century, Lorde’s poetry gave voice to various struggles for civil rights. As a black lesbian, her work deals with the intersection of injustices based on race, sexuality, and gender. Her poetry also addresses broader emotional themes of love, anger, and, rejection. The “I Am Your Sister” conference documented in the film featured poets performing Lorde’s works and brought together activists and artists from around the world to discuss issues of gender, class, race, and sexuality. When not highlighting art performances, The Edge of Each Other’s Battles showed the speakers touching on subjects ranging from poverty to racial and gender injustice. One woman described her difficulties explaining poverty to those who have never experienced it. Yet another discussed the “soul-destroying” nature of poverty. By juxtaposing footage of these speeches with that of the performances, The Edge of Each Other’s Battles portrayed the conference as a powerful synthesis of politics and art. Though The Edge of Each Other’s Battles is set in 1990, its theme of intersectionality remains relevant today. Though the movie never specifically uses this word, it focuses on the ways in which different marginalized groups join forces to achieve a common goal. The conference was specifically structured to be 50 percent comprised of women of color and women from impoverished backgrounds. This led to tensions when the conference met its quota for available spots for white women. The film ironically portrays how white women complained about being unable to go, revealing a sense of entitlement about a conference meant to address, among other things, racial inequality. Another issue of intersectionality appeared during the conference when women of different ethnic groups complained that their voices were not being heard. To address the issue, conference leaders restructured the format of the conference to ensure all members could express their opinions. The concept of intersectionality was critical to Lorde’s poetry. In one poem, she describes her inability to support rap groups like N.W.A. even though they were credited with giving a voice to the struggles of certain black Americans, because their songs often contain misogynistic lyrics. In exploring how Lorde’s message guided this effort to uplift people from countless different backgrounds, The Edge of Each Other’s Battles pays tribute to Lorde as an artist, activist, and source of inspiration.